Chaumet has transported a wealth of historic jewels from Paris to Beijing’s Forbidden City to be showcased in its awe-inspiring Imperial Splendours exhibition. French jewellery house Chaumet showcases its timeless heritage and design elegance at Beijing’s Palace Museum in an exhibition of exquisite, one-of-a-kind jewellery pieces that is set to delight visitors and demonstrate the art of jewellery since the 18th century. Established in 1925, the Palace Museum is located in the imperial palace of the consecutive Ming (1368-1644) and Qing (1644-1911) dynasties. Many of the unique pieces in the Imperial Splendours exhibition have left France or are on view to the public for the first time, so this culturally rich and historically significant location provides the perfect showcase for this once-in-a-lifetime exhibition by Chaumet. The magnificent architectural complex, also known as the Forbidden City, and the vast holdings of paintings, calligraphy, ceramics, and antiquities of the imperial collections, make it one of the most prestigious museums in China and the world. In 1961, the State Council designated the former imperial residence as one of China’s foremost-protected cultural heritage sites, and in 1987 it was listed as a UNESCO World Heritage site. The Imperial Splendours exhibition spans the history of Chaumet from the end of the 18th century to the beginning of the 21st century, presenting some 300 works, jewels, paintings, drawings and objets d’art to illustrate the House’s characteristic “art of jewellery”. The exhibition closes with a diadem created by Central Saint Martins student Scott Armstrong, winner of a design competition held in conjunction with Chaumet. Imperial Splendours promises to immerse visitors in the beautiful world of Chaumet, starting with a chronological history of the French jewellery house, which was founded in 1780. Twelve emblematic pieces tell the Maison’s tale, from its oldest creation (a memorial box for the Marquise de Lawoestine in 1789) to a contemporary Joséphine ring. The exhibition follows the history of France and the succession of political regimes, presenting the major creations made for the imperial and royal courts, from the Consulate to the Second Empire. Commissions from the era included Napoléon I, who chose the founder of Chaumet, Marie-Étienne Nitot, to create his coronation sword set with the Crown Diamonds, and the Empress Joséphine, for whom a magnificent collection of jewellery set with pearls and diamonds sourced from the Crown Diamonds was created. 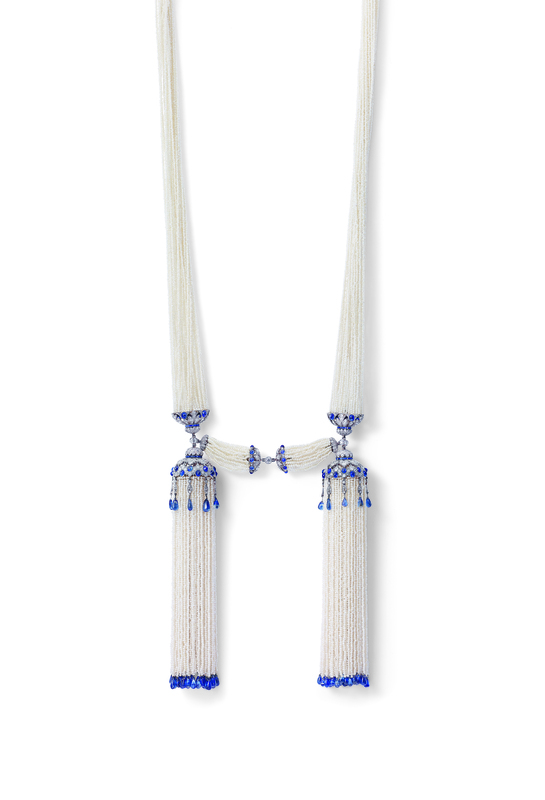 Romantic influences are then seen in the work of Jean-Baptiste Fossin, who succeeded Nitot after the fall of the Empire in 1815, while the later taste for chinoiseries – the name for Western-made creations inspired by the Far East – was reinterpreted by Chaumet to add oriental exoticism to its creations. This results in a fascinating section of the exhibition that showcases 22 jewels from the Palace Museum and 22 jewels by Chaumet. The second section of the exhibition evokes the Maison’s opening onto an increasingly cosmopolitan world, and the definition of a style that reflects Parisian tastes and spirit. 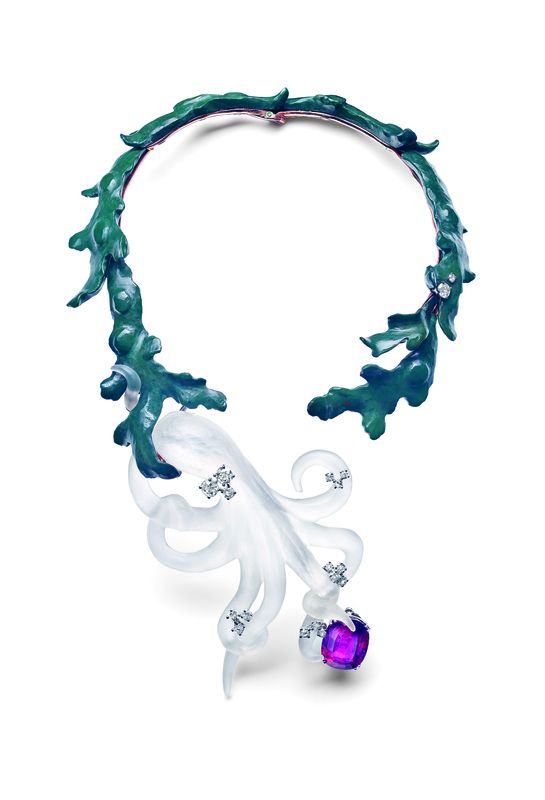 An interplay of different eras is offered here, focusing on four of the themes dear to Chaumet’s heart: the art of the necklace; the poetry of nature, an ode to flora and fauna; sentimental jewels, from the bowknot to the liens motif; and the art of the diadem, Chaumet’s majestic jewellery symbol. To celebrate the opening of the Imperial Splendours exhibition, Chaumet gave carte blanche to the jewellery students of Central Saint Martins to create the diadem of the 21st century. The school, internationally renowned for its illustrious alumni who, as artists and designers, have made their mark on the world, was an obvious choice for Chaumet. 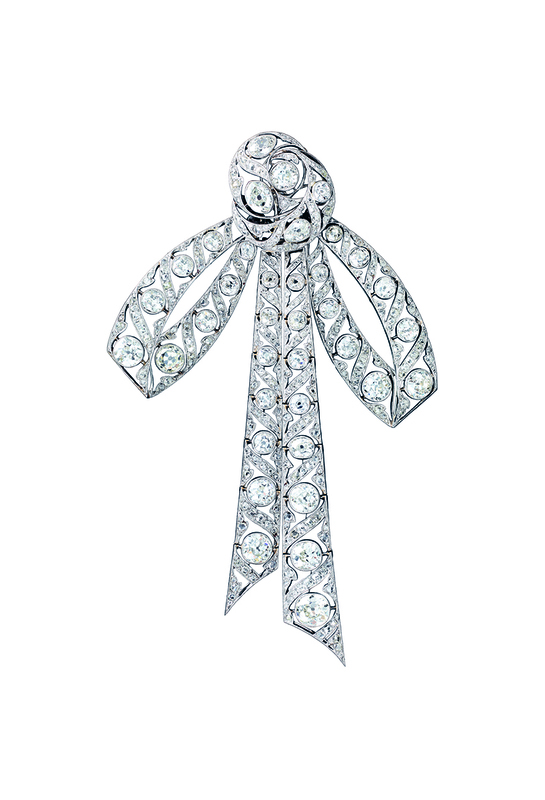 The other essential choice was that of the diadem as subject – the emblem of the Maison that has fuelled boundless creativity since the days of the Empress Joséphine. 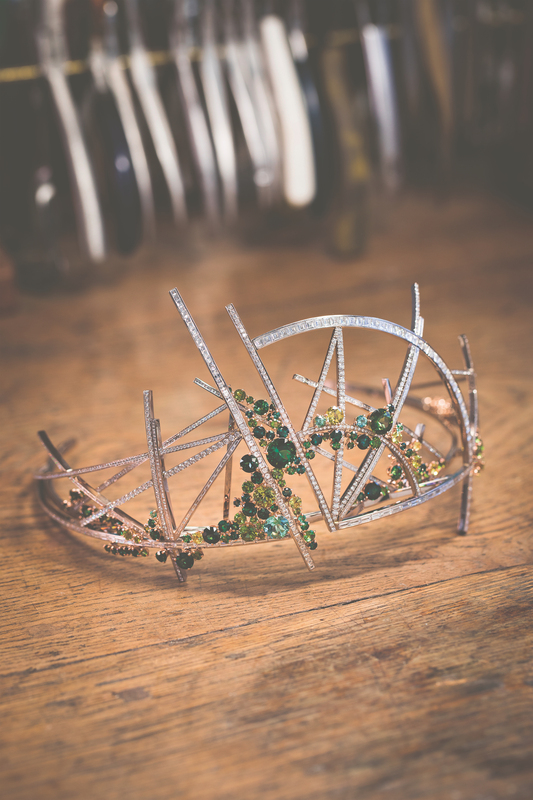 The competition involved 60 students from two classes – the Bachelor of Arts in Jewellery and Master’s Degree in Jewellery Design – and the winner was 21-year-old British student Scott Armstrong with his stunning “Vertiges” diadem. To use his own words, Scott “fell” into jewellery when he was 14, after stopping in front of the window of a jeweller’s in his hometown of Chichester, in the south of England. Soon after, he set up a workbench in the family basement and practised making jewellery every weekend for the next four years. 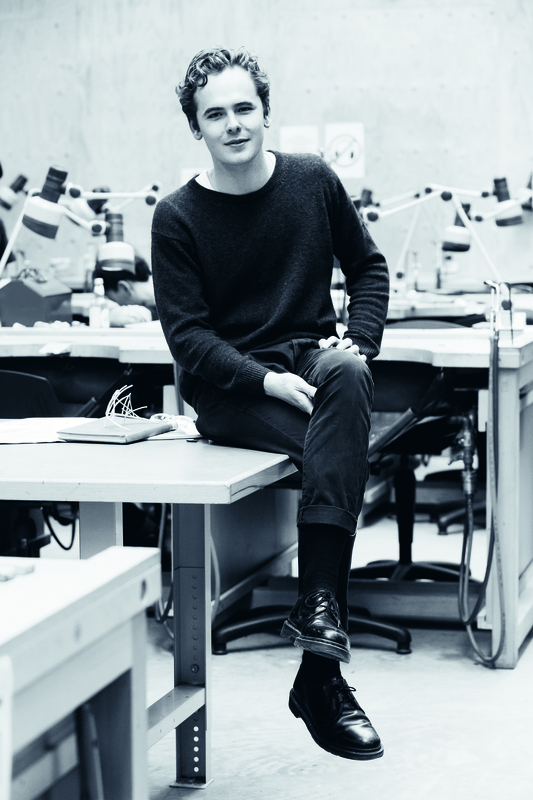 After passing A-levels in mathematics, economy and design, he moved to London to attend the Bachelor of Arts in Jewellery Design at Central Saint Martins, while continuing to work for jewellery designers. 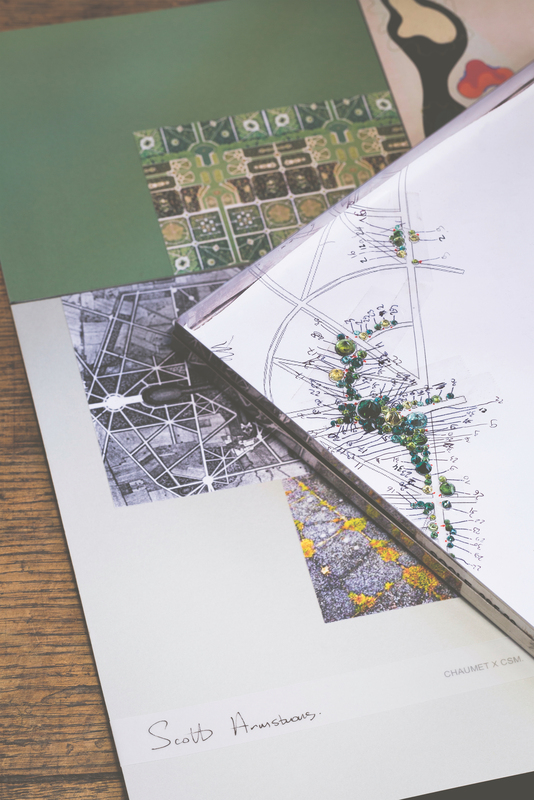 Inspired by Chaumet’s tradition of naturalism and by the book The French Formal Garden, Scott has imagined a contemporary garden in the French style. The diadem combines curving and straight lines to suggest an architecture where bold details disrupt the overall symmetry. A succession of bursts of greens and yellows, rendered by a gradation of tourmalines and garnets, gives rhythm and surprises the eye. An artful composition and playful take on established codes that fits perfectly into Chaumet’s landscape. The Imperial Splendours exhibition will be open from 11th April 11 until 2nd July 2017 in the Wu men Room, Meridian Gate of the Forbidden City, Beijing.